Seriously. There’s not Camellia one in my garden. I thought I didn’t like them. 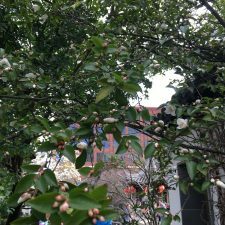 But I suspect it’s a prejudice born of those ubiquitous mis-pruned Camellias of my youth. When I was a kid, every yard had at least one, and usually more. Apparently, though, they ain’t supposed to be primarily giant light-blocking lollipops–good for concealing pint-sized, water-pistols packing assailants. 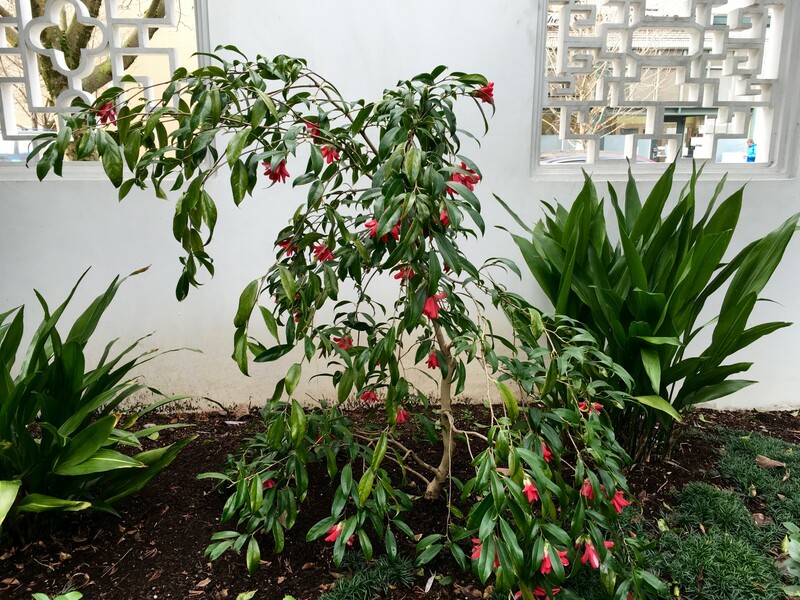 These ornamental shrubs have been grown in their native lands for hundreds of years by gardeners, and they have been grown in Western gardens for at least 150 years. 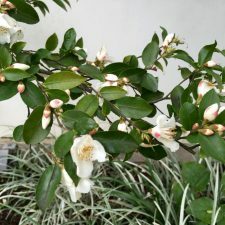 The glossy, dark green leaves of Camellia japonica are a standard feature in the gardens of the Pacific Coast, and in the South from Virginia to Texas. The flowers can be single, semidouble, or formal double, ranging in color from white to pink to deep red, with many hundreds of variations. Our problem in the Northwest is that the flowers can be blemished or ruined when they bloom in early spring. 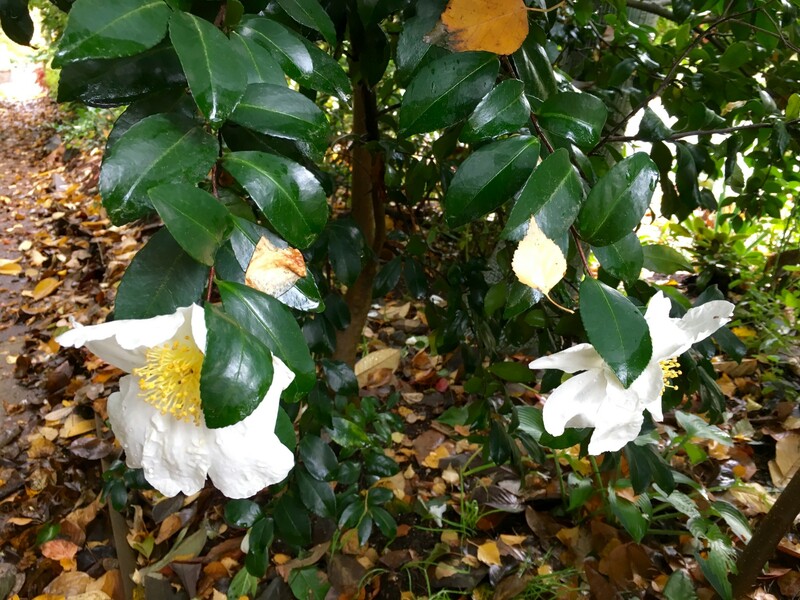 We have tried many forms of C. japonica over the years, but our climate is too cool, and the flowers are ruined most years by rain and cold weather. (OOOOOH, another reason I thought I didn’t like them. Wrong plant in the wrong place.) 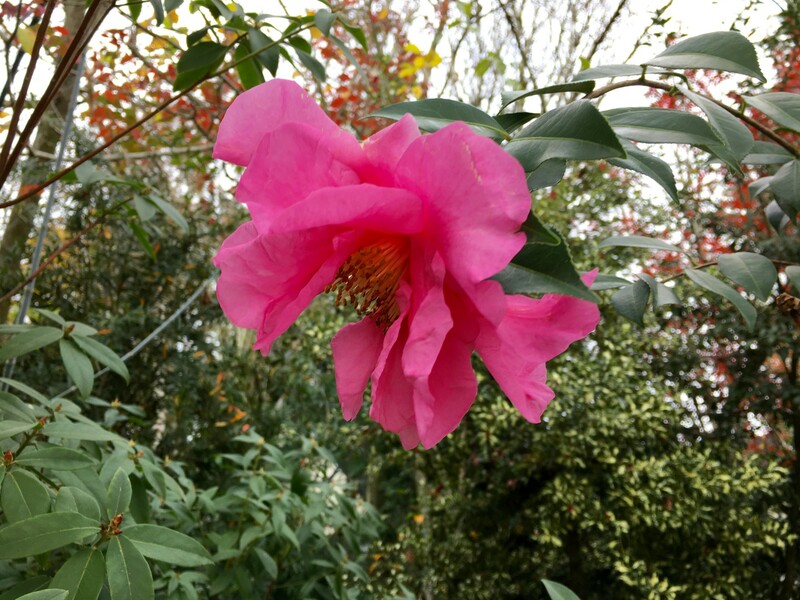 However, we really like some of the hardier species’ first-generation hybrids and Camellia x williamsii hybrids. 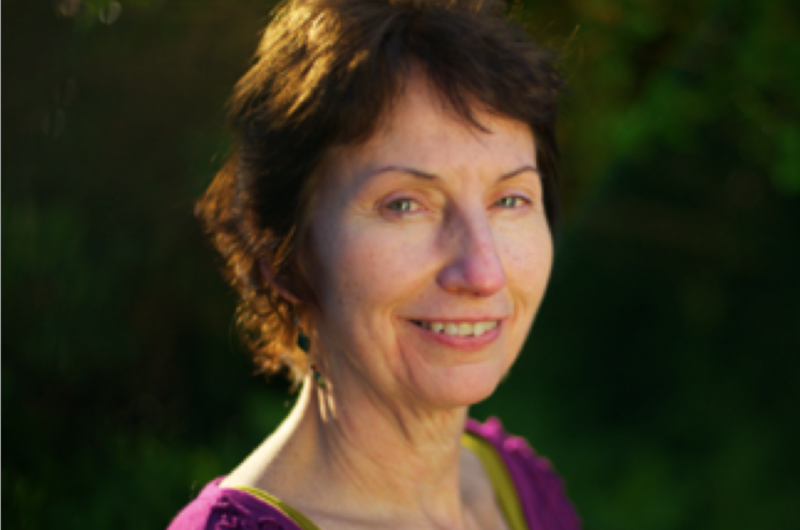 Camellia includes an enormous range of options. We strongly encourage you to try the species and newer hybrids from the eastern United States to what will grow in your garden. Origin: China, Japan. Hardiness: Zones 6-9. Exposure: Afternoon shade. 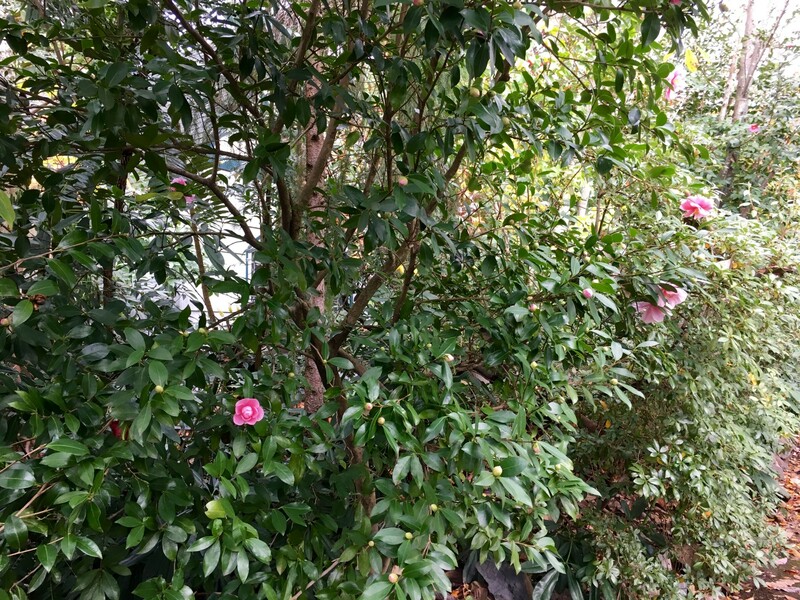 And because I’m just learning, I hope you will forgive the lack of identifications on some of these Camellias. 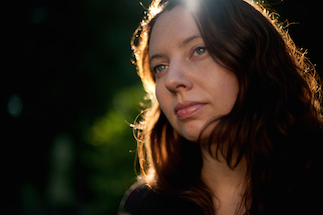 I can note that I’m drawn to an open undulating style–with single-ish flowers. And light to white colors. Unless I see a dynamite red or pink, and then none of that. Camellia on the Concordia University Campus. It looks good even when the bloom is a bit faded. Lovely even as it fades. And I’m a sucker for anything reminiscent of Romney coulteri–though I’ve been warned about their thuggish ways. White single flower in Skidmore Woods. I’m not one for a riot of color, but a blossom here or there in bleak winter is pretty fabulous. 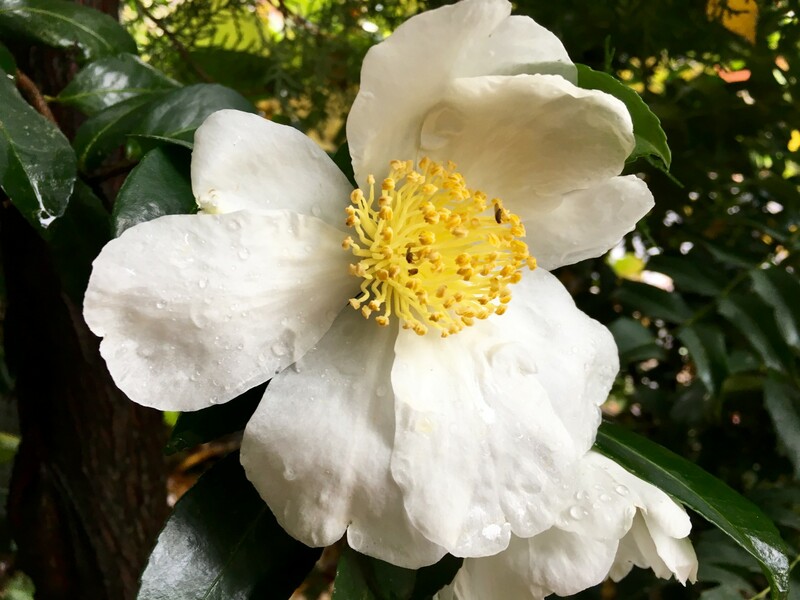 White Camellia that mimics the look of Romneya coulteri aka Matilija Poppy. 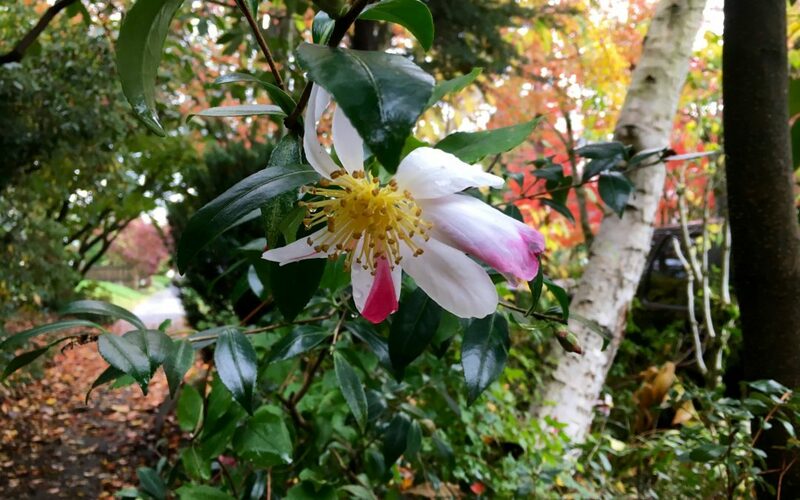 The Lan Su Chinese Garden in downtown Portland knows from Camellias. There’s the undulating form I’m talking about. Just let some kid try to hide behind that. I wanted to go to the Chinese Garden yesterday, but alas, ice storm. This is getting old. While most of the city was thawed, we still had icicles. 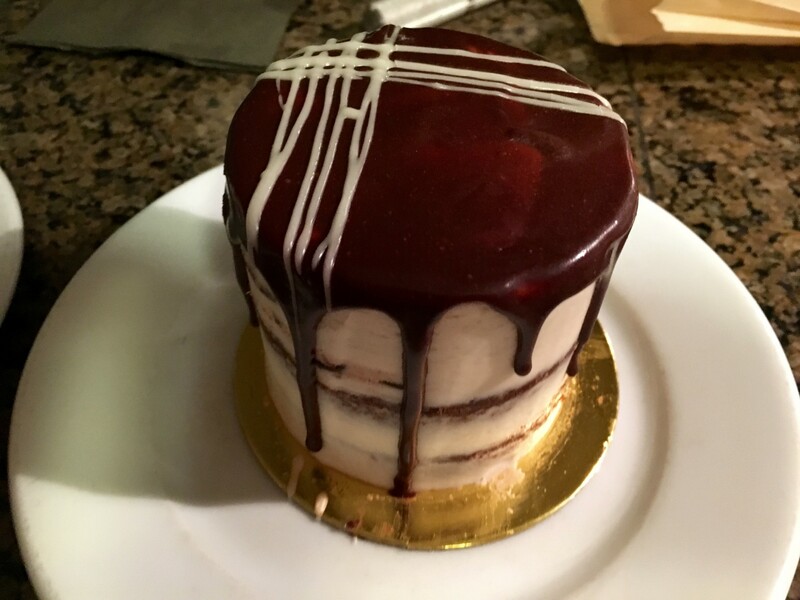 I’m hoping it gets better soon, and that Back to Eden Bakery has the gluten and dairy free chocolate mint cake. It’s the weekend, so dessert is permissible. 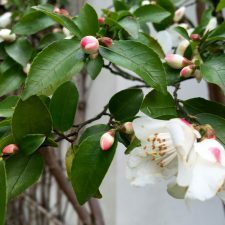 I did manage to record the name of the Camellia below, Camellia transnokoensis. I like how the smattering of the blooms in Skidmore Woods below dresses up the green foliage. Pink blossoms hither and yon. 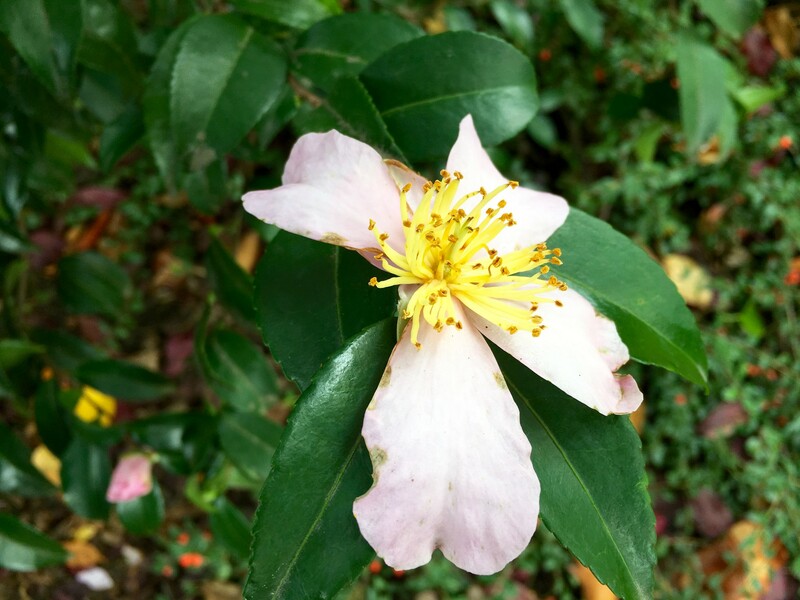 Camellia NOID. Crazy gorgeous, right? I haven’t narrowed down my choice, and of course, don’t have your suggestions yet. 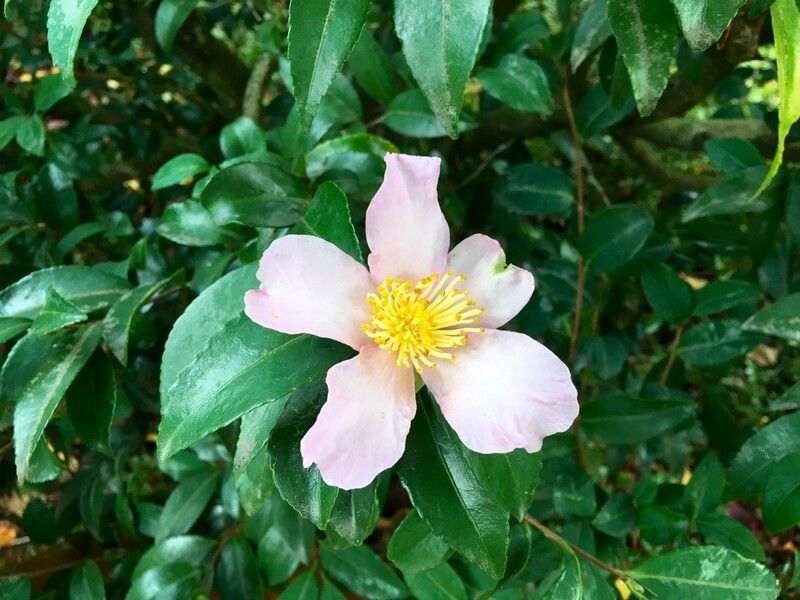 But I’m on the case, and I can’t wait to hear from you Camellia aficionados out there. Feel free to send your favorites this direction, please.